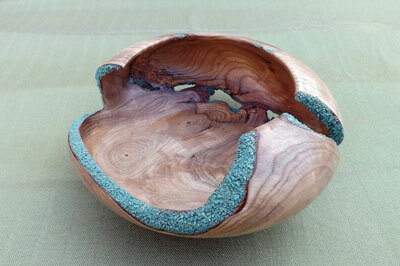 Woodturner Greg Teter, from Pennsylvania, has been turning for almost 20 years now, following in his father’s footsteps, who also did a little woodworking. 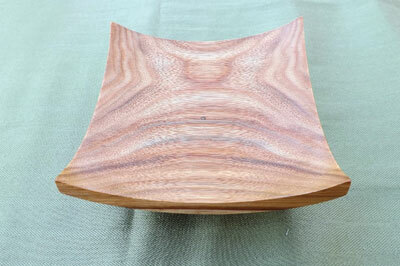 I started turning almost 20 years ago, shortly after I saw some beautiful turned pieces. I knew then that I wanted to do that too! 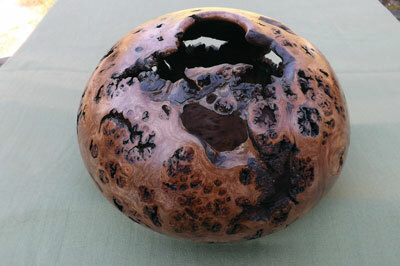 One of the ways to enhance small, less figured or interesting turned pieces is to ‘burn in’ lines. 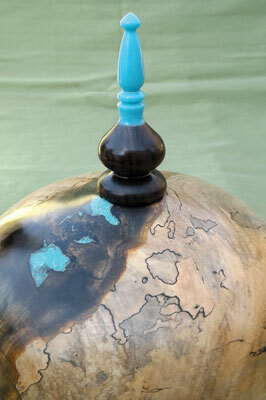 I have done this on all kinds of pens and handles as well as bowls and vases. One concern with the use of a wire to do this is the inherent danger of slippage coupled with the possible tangling. 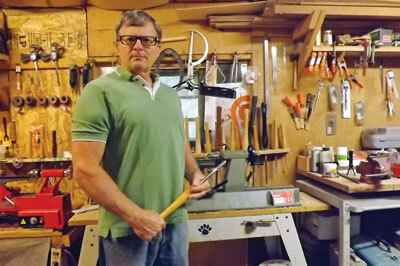 To eliminate this I begin with marking lines or stripes with a minute groove made with a skew chisel. I follow this by using a sharpened ‘popsicle’ stick or other small, hard wood similarly sized and shaped with a knife edge putting it in the pre-made groove until it smokes. Resharpen as needed. 5. One of the most useful – and cheapest – materials I inlay with is the brass filings I gather from any store that makes keys. I filter the filings using an old stocking to get the fine powder, being extremely careful not to breathe any of the dust and equally careful handling it as the tiny pieces make painful splinters. In many of my turnings, cracks, gaps and other holes in the wood can be enhanced by packing in the powder and dripping thin CA glue on top. The reaction is instantaneous and with a wisp of vapour – don’t breathe that either – hardens to an easily sand-able consistency. A little bit of trial and error on my part getting the right method for each of the different inlay materials.